Tim's Party Centre and Special Events Rentals was established in 1982 and has been providing the community with successful events, keeping up-to-date with industry trends, new products and ideas. We are dedicated to superior event services. Our knowledgeable staff will help you plan your event, with our quality rental items, party supplies and beautiful balloon decor. Balloon decor is our specialty. Home of the only Certified Balloon Artist (CBA) and Certified Event Rental Professional (CERP) in the Region of Durham and the Municipality of Clarington. 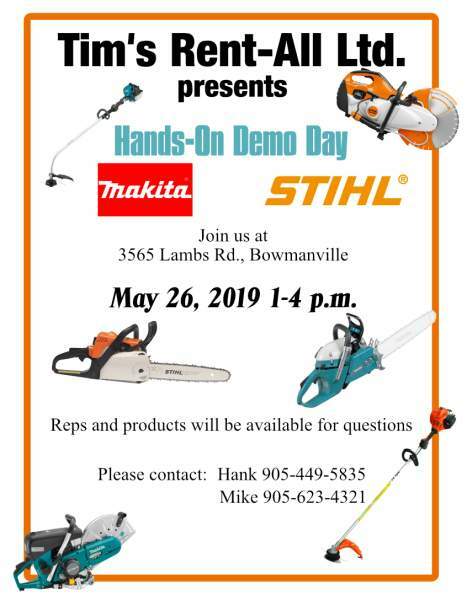 In Bowmanville on the northwest corner of King St. (Hwy.#2) and Scugog St., above Tim's Rent-All. Parking on Scugog St.
Go north to the third set of lights, which is Hwy. 2 or King St. The Garnet B. Rickard arena is on the northwest corner. Turn right and proceed over the bridge to the second set of lights, which is Scugog St. 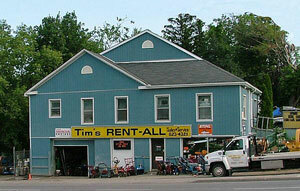 Turn left onto Scugog and left again into our parking area, upstairs from Tim's Rent-All.